The "short version" below excludes graphics, background material and endnotes, for those who prefer only the core discussion material. Over seven thousand people also participated in our most recent online Members' policy survey and hundreds joined us last month for our CPF Q&A video conference with the Environment Secretary, Michael Gove. This was recorded and can still be viewed (the actual broadcast starts at around 14:50) online. We anticipate organising a similar video Q&A with the Health & Social Care Secretary, Matt Hancock, next month (plus another later this month with the Party’s Vice-Chair for Policy, Chris Skidmore, to discuss the PM’s Policy Commission) – so, if you do not already receive CPF updates via email but would like to be kept informed about such opportunities, be sure to join the CPF mailing list via our Join tab). What follows is an overview of the key points raised by CPF groups. The summary includes ideas that were received last year from 60 CPF groups in response to our discussion on adult social care, which was interrupted by the snap general election. Those submissions represented the views of 68 constituencies and at least 515 members. A more detailed collation of policy suggestions has been presented to the Director of the Prime Minister’s Policy Unit, the CPF Chairman and the Party Vice-Chairman for Policy. We are delighted that the PM’s Policy Unit would also like to organise a roundtable discussion on social care with representatives from 7-8 different CPF groups in the next month, ahead of the publication of a Green Paper on social care in December. We also look forward to publishing a formal response to members' ideas in due course. As is often the case, several suggestions highlight the greater need for the government to communicate better what it is already doing and has already achieved. E.g. Groups seem unaware of the development of the new NHS app that allows patients to book GP appointments, order repeat prescriptions, view their medical record and access 111 online access for urgent medical queries. If members with an interest in policy are unaware, then it is certain that the general public have not noticed. Health outcomes is the most important measure of success. Integrate NHS & Social Care budgets and consider making CCGs accountable to their local population by devolving responsibility to regionally-elected “Health Commissioners”. The Secretary of State should now have a dedicated Internet of Things (IoT) team mapping the possibilities for the NHS. Explore long-term NHS funding through a cross-party Royal Commission. Publicise and implement the Dilnot Commission’s recommendations. Introduce ISAs for health and social care. Encourage use of triage systems as standard at entry to GP surgeries and A&E. Publicise the real cost of medicines, treatment, equipment and appointments to the NHS/taxpayer through labelling, appointment letters and issuing receipts. Introduce national procurement services for drugs and supplies to gain the advantage of bulk buying. Promote a “mental health 5-a-day” campaign and relationship classes. Offer Cognitive Behavioural Therapy (CBT) as standard practice for anyone who approaches their GP asking for help to lose weight. Along with antenatal classes during pregnancy, relationship and parenting classes could be provided to help strengthen families. Review the GP contract and nurse training/remuneration. Success in medicine,living conditions,has lead to an exponential lengthening of life expectancy. (NB Recent research suggests that life choices (use of narcotics,smoking,lack of exercise,poor diet) will both increase pressure(cost) on health services and possibly/probably lead to no increase/decrease in life expectancy. Investment in healthy projects(NB After smoking probably very long lead-time for results?)i.e. Overnments seldom take longterm policy decisions in social type services. Ageing population= growing care needs;can we convert unemployed into new carers . NHS and Social Care are closely linked with this client group;Northern Ireland has combined Health and Social Care Boards ;is it transferrable;are there lessons. A key practical matter is the law on charging ;NHS Charges are regulated ;Social Services tend to be locally determined .It matters where patients become clients .There are also differences about carrying patients/clients re insurance and duties;Apart from ambulances, NHS staff (e.g. district nurses) cannot carry patients;social workers can carry clients! 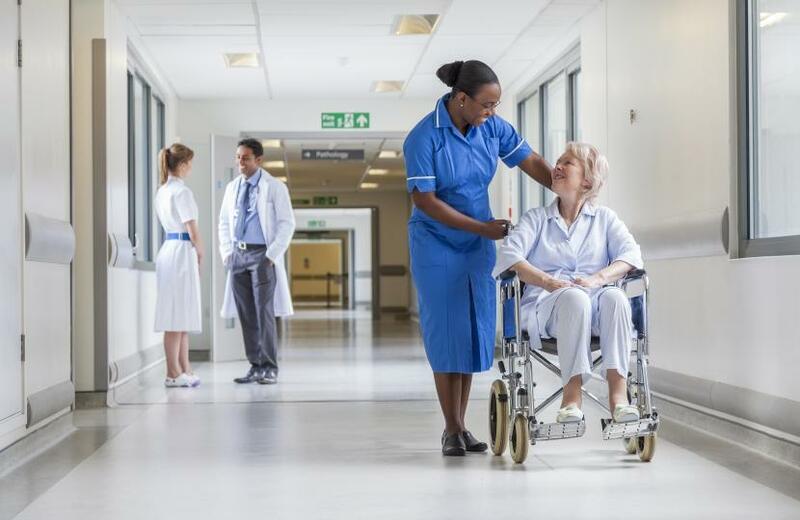 How to encourage Social Care providers to take Older People from Hospital Discharges to prevent bed blocking and reduce pressure to support acutely ill people. NHS , Burnley Council,Lancashire County ran a Citizens Jury whereby a district judge took evidence from local people about their needs/ ideas resulting in health , education , practical help ( eg walking buses) in a very deprived indigenous area. Other area ( BEM) worked through local community organisation to tackle gender and age sensitive health matters ie it's about segmenting population and asking them . Quite a few other examples too .